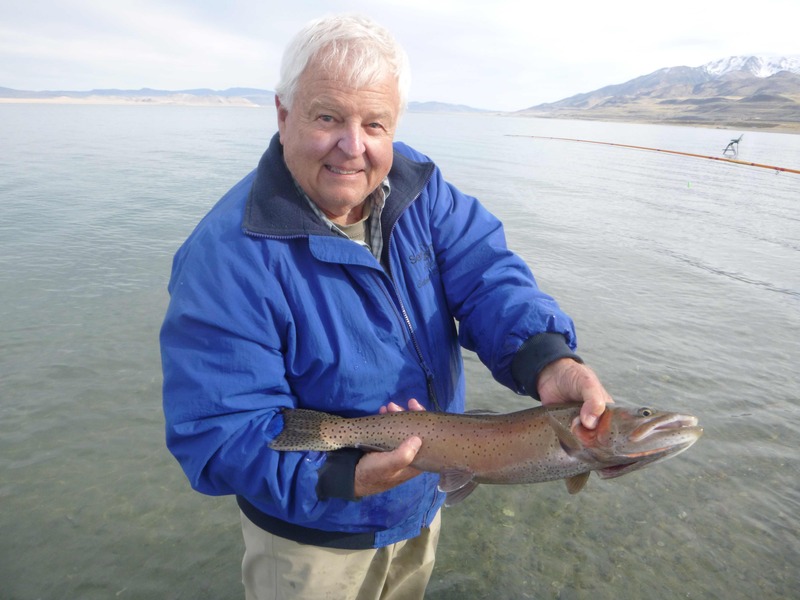 In support of fellow guide and friend Doug Ouellette- the master of Pyramid Lake fishing- we would encourage others to share the word on the origin of the Popcorn Beetle. Read the real story here. 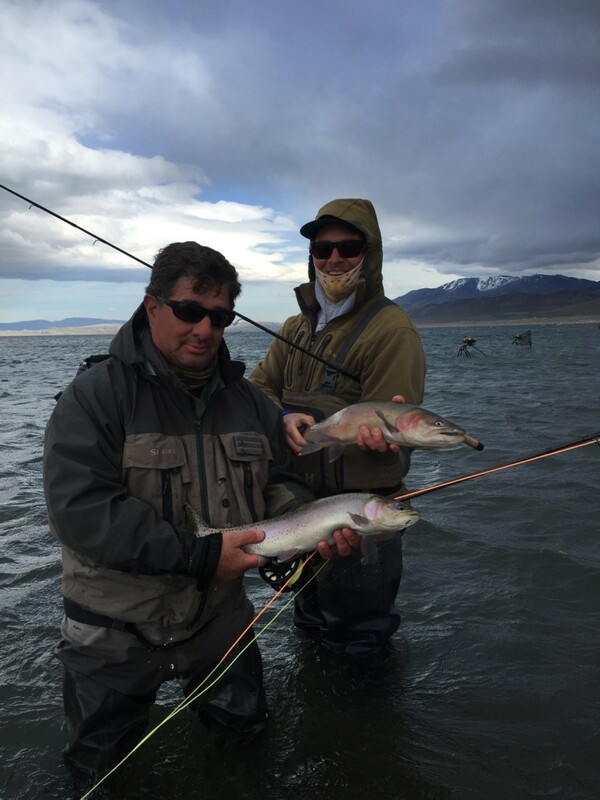 Les and Ben from Ogden, UT landed around 50 fish during their two guided days on Pyramid Lake, NV. 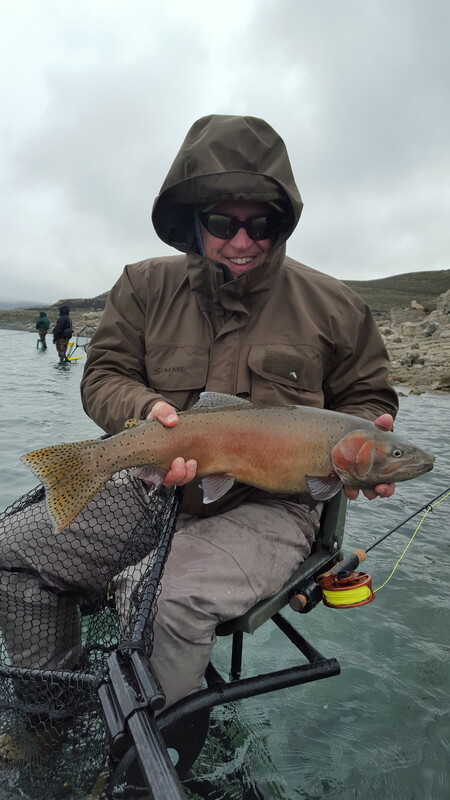 The first day started off with a slow morning but ended up as a killer afternoon- Les landed this awesome 14 pounder just after lunch- it was his first fish on Pyramid. 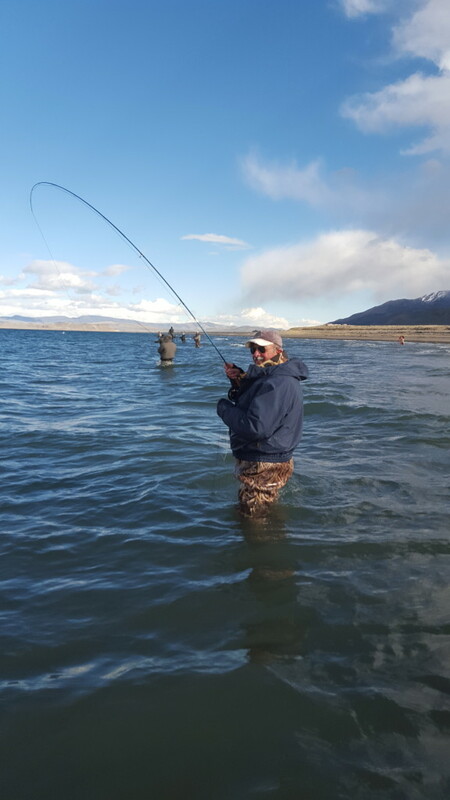 We had a consistent bite the following day with a dozen fish each. 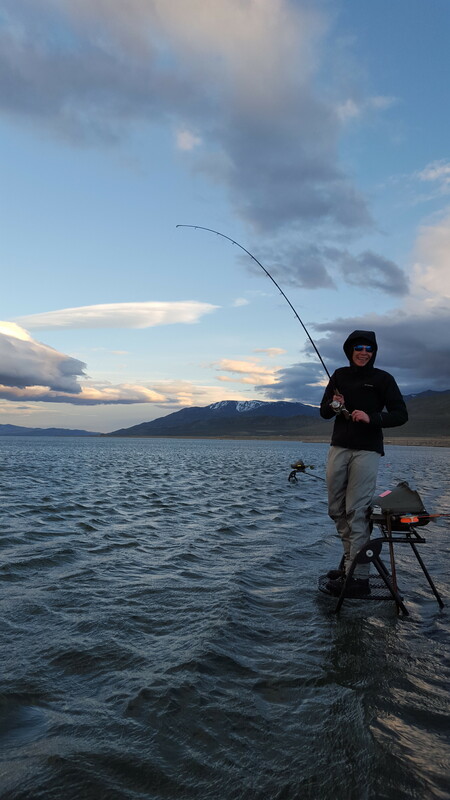 Unlike the day before, we got ours on the strip with woolyworms and popcorn beetles (the day prior indicator fishing with midges was the preferred technique). 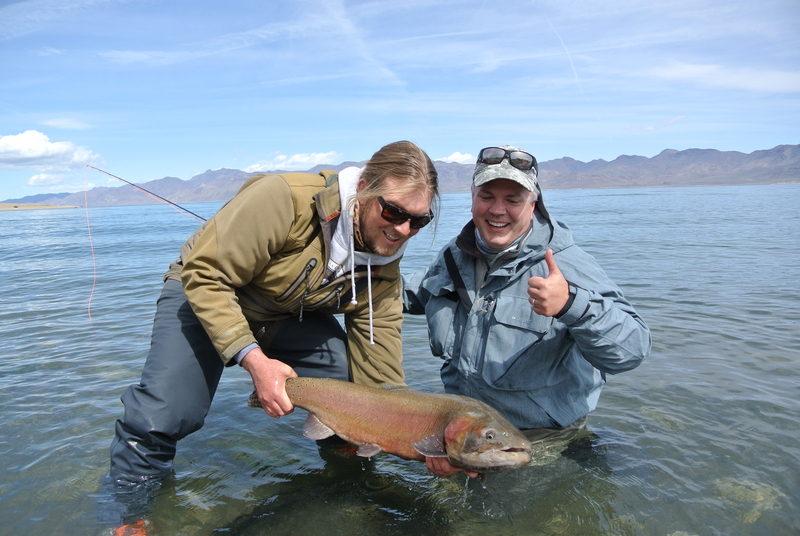 It was a pleasure guiding this two from our home state of Utah- we hope to see them again out at the Mid! 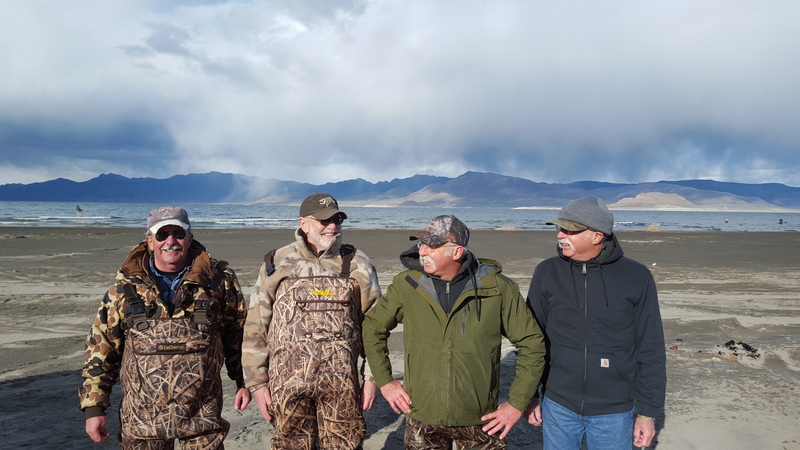 These four great guys did an awesome job at Pyramid Lake Guides’ clinic yesterday. 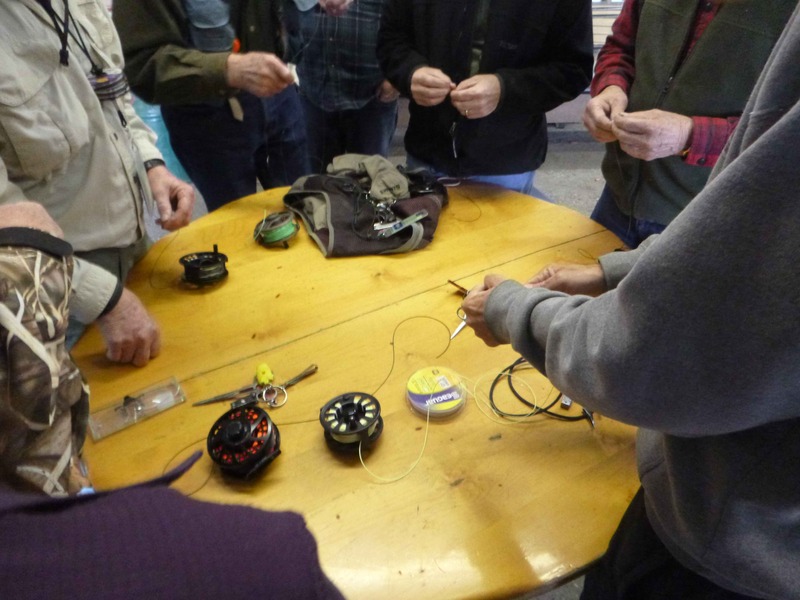 The group had wanted detailed instruction on casting technique and a break down of rigs, flies, wind, etc.- Licensed Guide Nick Jackson gave them just what they ordered. 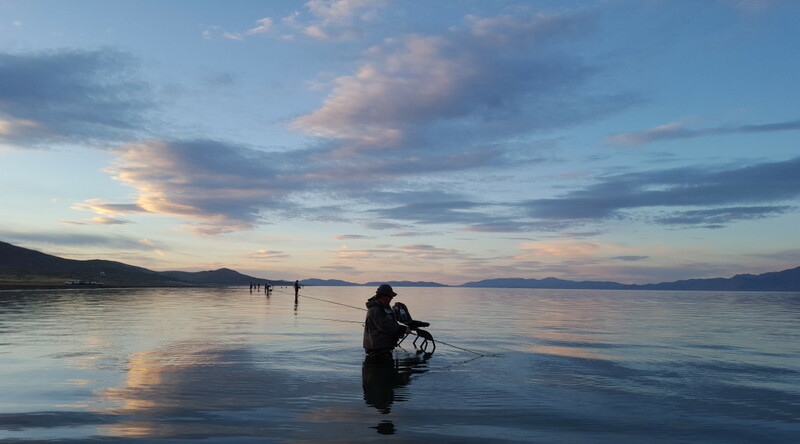 Part of the group, two twin brothers, had met Nick in Reno and started their planning from a conversation about fishing gear at Sportsmen’s Warehouse. 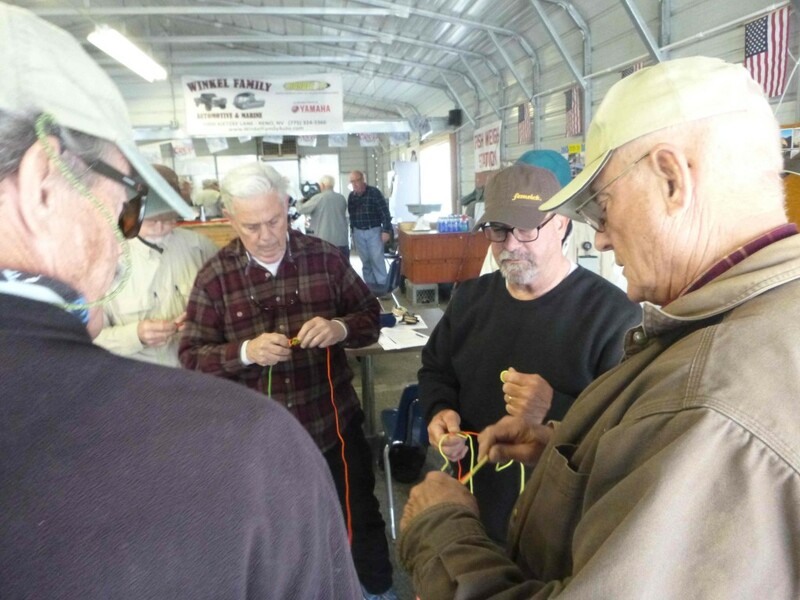 They were hesitant to go out on Tuesday because of some incoming wind- with some encouragement they made the trek over from Susanville Tuesday morning. Man did they make the right choice! 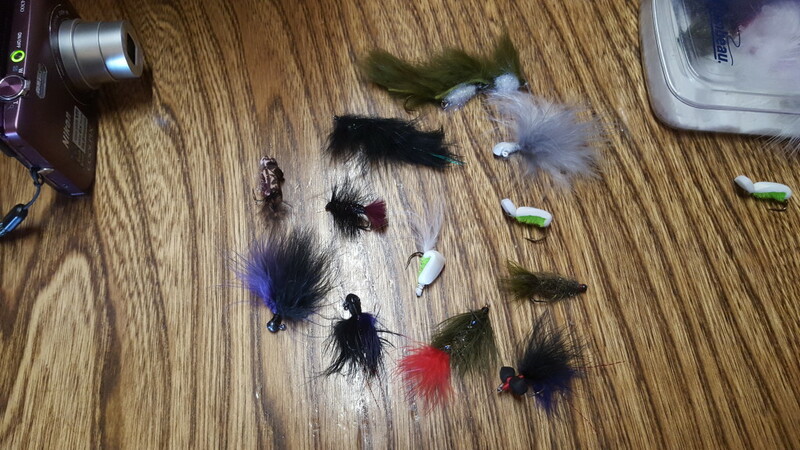 -the fishing was MUCH slower today. 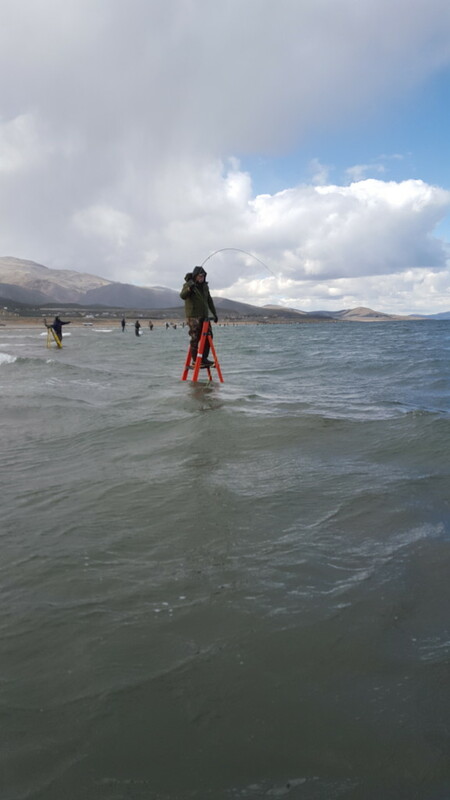 These guys absolutely reeled it in on Tuesday with 41 fish to the net, and a few missed! Doug Ouellette’s Original Popcorn Beetle was the fly of choice. Great job guys! 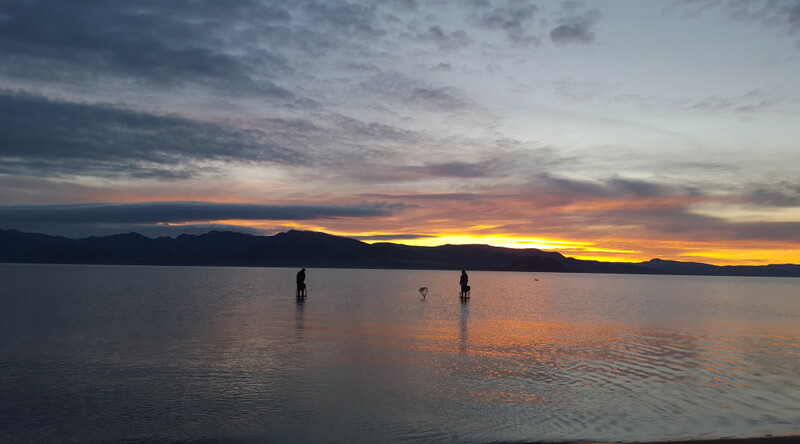 This past weekend was a beautiful calm one on Pyramid Lake, NV. 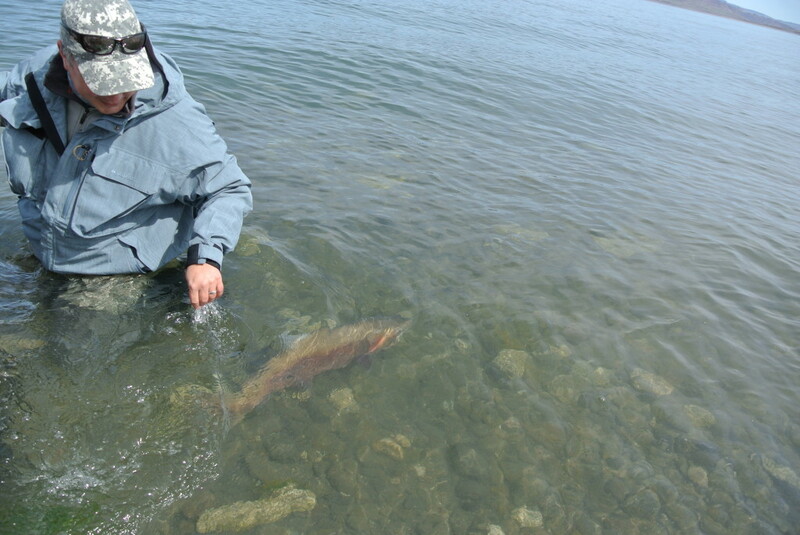 The fish tend to be MIA during such pleasant conditions- but Friday, Saturday, and Sunday were all productive. The beaches are crowded with campers, ladders, and fishermen right now but you can still squeeze in a spot if you get out early enough. 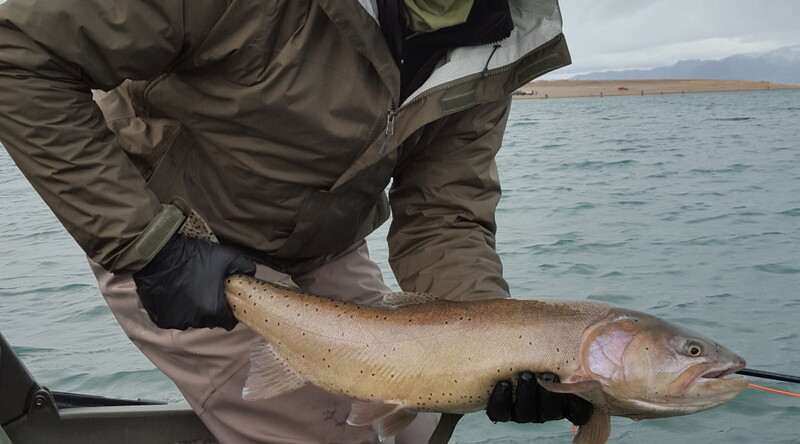 Some large fish in double digits were reported. 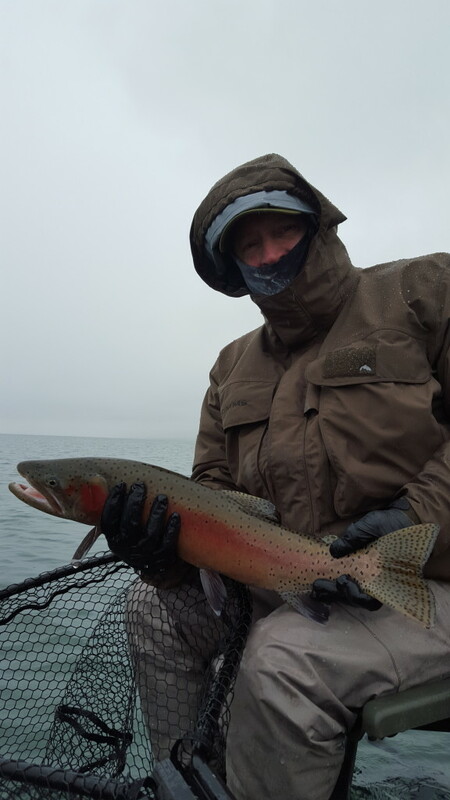 Our clients landed several nice fish Saturday, and we had a great day fishing with friend and client John Cancilla, and guide Doug Ouellette on Sunday. 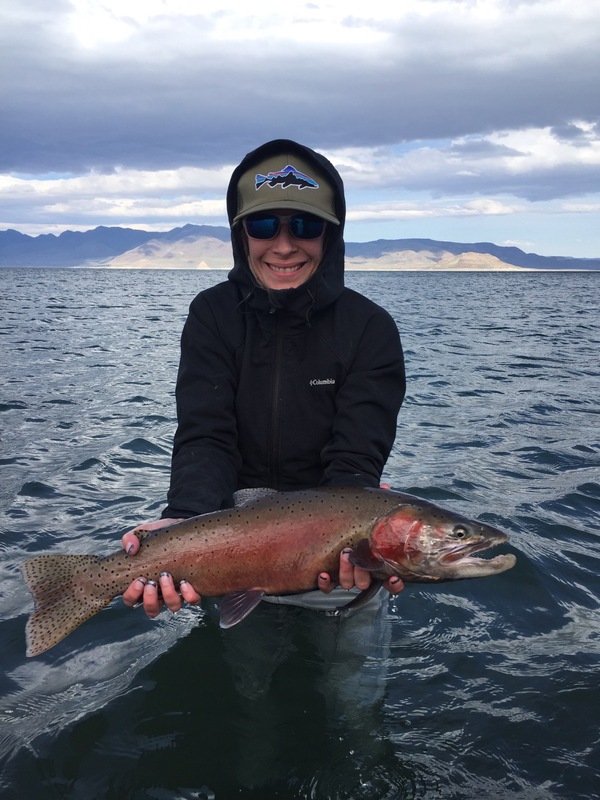 Later in the day Julianne busted out the jig rig and nailed 3 fish in a row cast for cast. 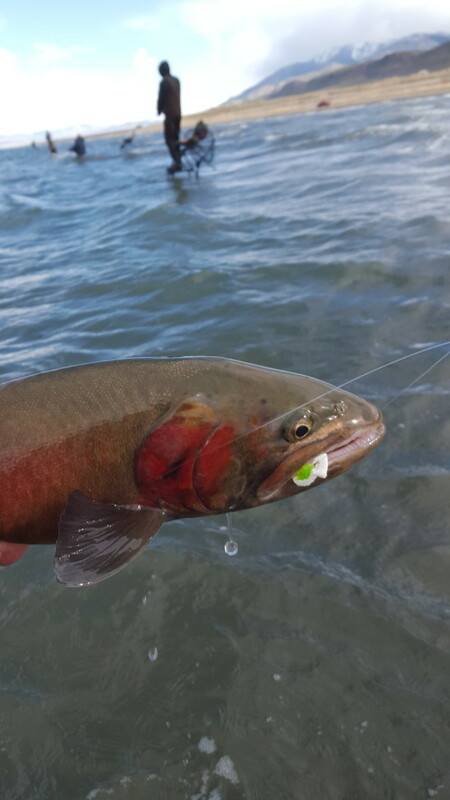 Nick mimicked her technique on a floater-no-cator rig popping the midge and nailed a nice Pilot Peak to end the day. 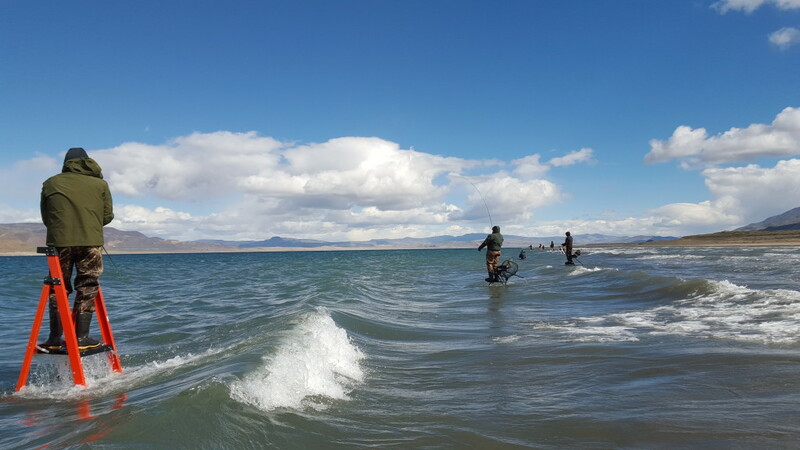 We had the pleasure of providing this great group with some instruction and fly fishing at our Clinic this Thursday on Pyramid Lake. 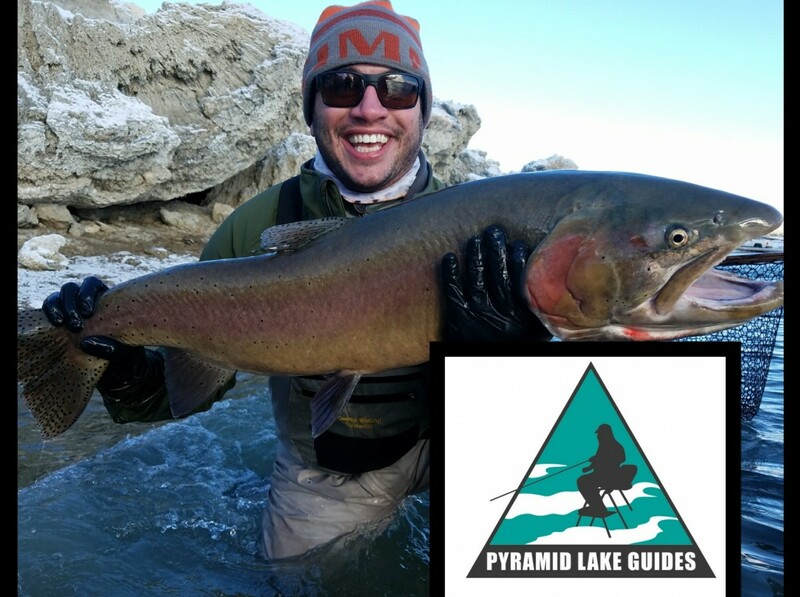 Guides Doug Ouellette, Matt Gilligan, and Nick Jackson bring a wealth of knowledge and expertise to this unique fishery. 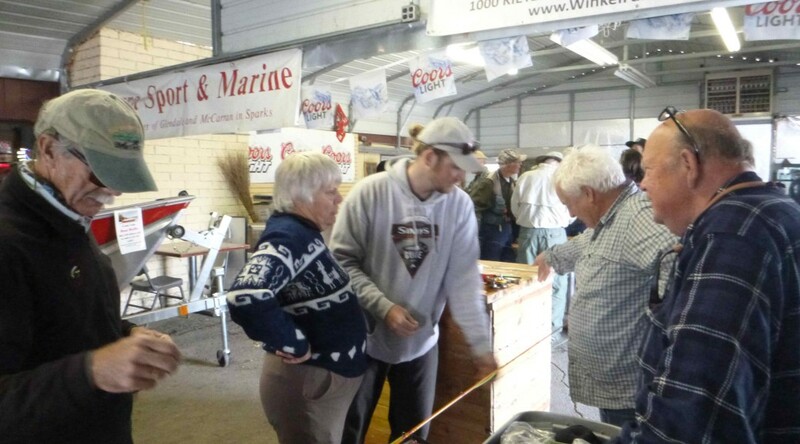 Fun group of people- they were great learners and landed some great fish! 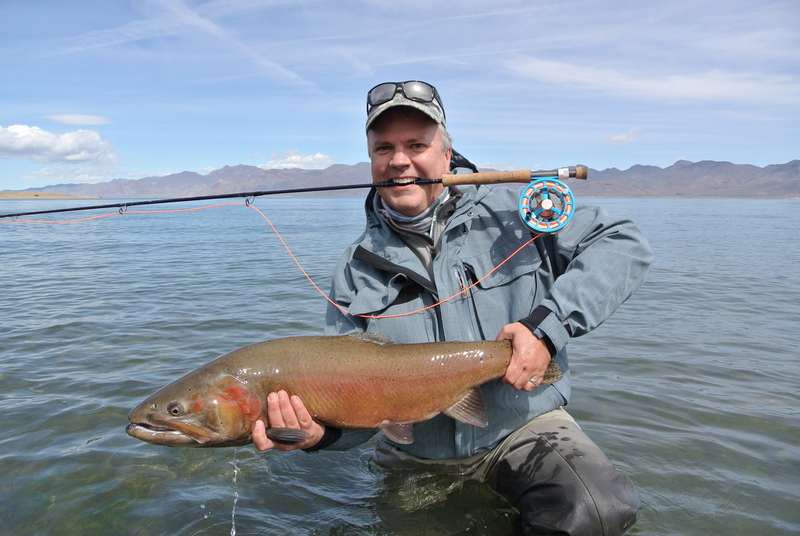 Thanks to Wayne and the group for the photos and good company. The guys from Iowa landed near 30 fish this past Monday on Pyramid Lake. 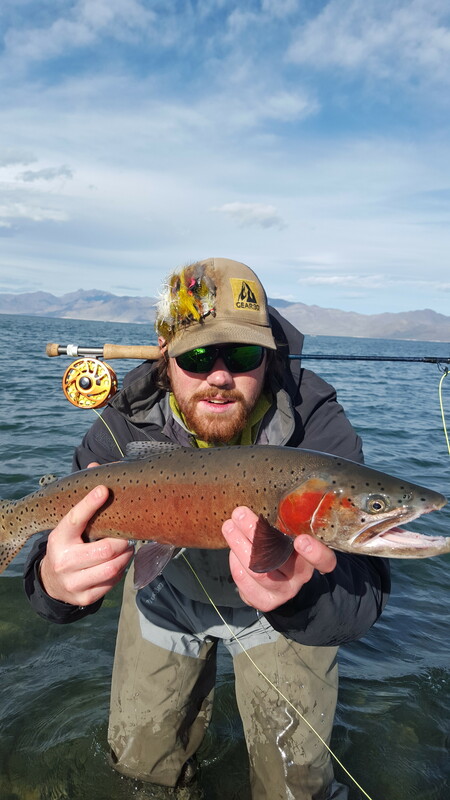 Some nice, colorful Pyramid Lake strains (aka Summit Lake strain), and a beautiful Pilot Peak were among the many fish landed. 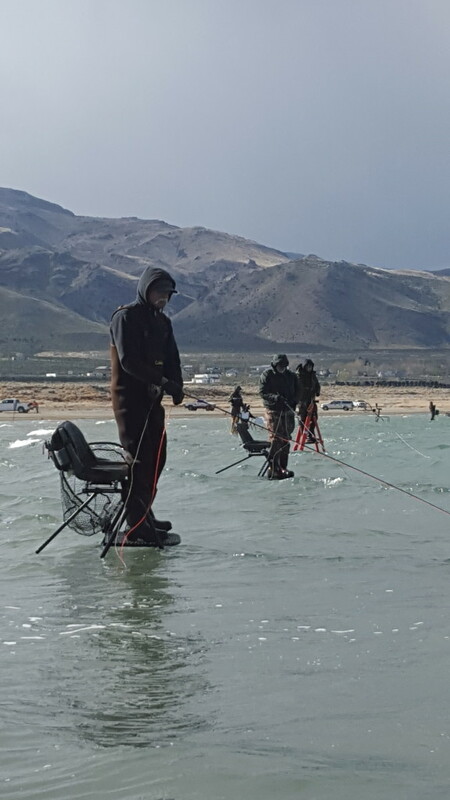 Nice job guys- toughing out the wind and cold! 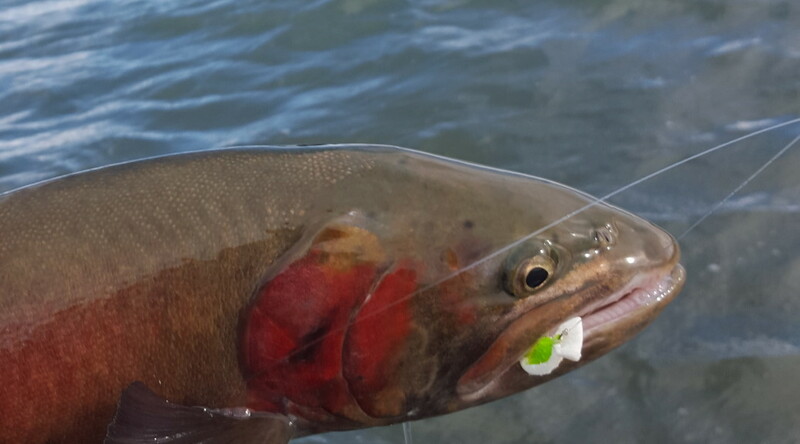 March is a GREAT time to fish Pyramid for the Lahontan Cutthroat- there are several reports of pod sightings right along the shoreline. Get out there!